Since 1988 Carpet Cleaning Excellence has been the trusted provider of superior carpet and upholstery cleaning to quality conscious home and business owners in Bloomfield Hills, MI 48301 | 48302 | 48304. Our cleaning process entails the use of highly effective, earth-friendly solutions that are safe for babies, pets, and allergy sufferers. They contain no detergents and shampoos which means no dirt-attracting residue will be left behind in your carpet fibers or fabrics. carpet pad and powerfully extracts the dirt, allergens, bacteria, odors, and other indoor pollutants that get trapped in your carpet. This is also the cleaning method that is recommended by the major carpet manufacturers to keep carpet warranties in effect. 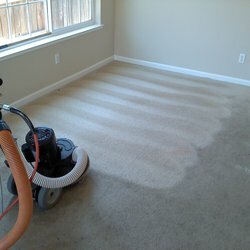 a reputable cleaning provider. We also back that up with a 30-day FREE unlimited visit, no spot guarantee for those pesky accidental spills that may occur after your carpet cleaning (excludes pet urine). OPEN areas that need cleaning to provide you with a proper quote (as our rates are based on square footage, not by-the-room pricing). Call us at 888-688-0603 for a free, fast, and friendly 20-minute quote with absolutely no pressure or obligation to buy a thing. What could be more fair? Claim your New Client Introductory Discount here to use towards your 1st cleaning. Provides The Best Value In Deep Carpet & Furniture Cleaning In Bloomfield Hills. Apples-To-Apples, & We Believe You Will Be Pleasantly Surprised.